An Health Reimbursement Arrangement (HRA) is a tax-advantaged account funded by your employer to cover your health care costs. The money contributed to this account is not taxed, and you can access these funds to pay for any qualified medical expense for you or your dependents. Only your employer can contribute to an HRA; no employee contributions are allowed. Paying for health care is both easier and less expensive with an HRA from ConnectYourCare. How Does an HRA Work and Is It Right for You? Flexibility. There are hundreds of eligible expenses for your HRA funds, including prescriptions, some over-the-counter medications, doctor office copays, health insurance deductibles and coinsurance. HRA funds may even be used for eligible expenses for your spouse or federal tax dependents. See the list of Eligible Expenses for more details. Out-of-pocket costs are covered. You are responsible for any portion of your health care that is not covered by your medical, dental or vision plans, including the deductible, copays, coinsurance and other un-reimbursed amounts. The HRA can be used to cover these costs. What can I use my HRA funds for? Where can I shop with my HRA funds? You can use your HRA card at approved merchants. 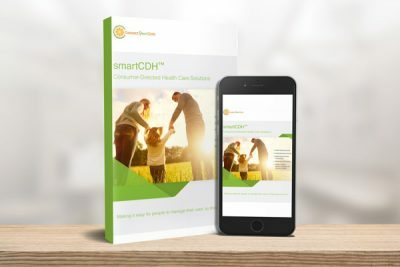 Your card has been programmed to work only at merchant locations that are designated as health care merchants based on their Merchant Category Code (MCC). Examples of qualified merchants include doctor’s offices and hospitals. The card should only be used to pay for eligible medical expenses, and you should always save your receipts. You will not be able to use your payment card at locations that are not approved health care merchants. For qualified purchases at locations that are not approved health care merchants, you can pay with other means, then submit a request for reimbursement through your online account. Visit the CYC Marketplace page to learn more about approved merchants. Do I need to keep my receipts when I use my HRA payment card? Yes! The IRS requires that all HRA purchases be verified as eligible expenses. Sometimes purchases are automatically verified when you use your card. Other times you will need to provide an itemized receipt or other supporting documentation to comply with IRS guidelines. Therefore, always hold on to your receipts in case further documentation is requested. Receipts must contain the date of service, name and address of service provider/merchant, description of the service or expense provided, amount charged, and name of person receiving care or service. Non-itemized cash register tapes, credit card receipts, and cancelled checks alone unfortunately do not provide proper substantiation. This guide does not constitute tax advice. For more assistance, please contact your tax advisor. You can also find more information in IRS Publication 969 at http://www.irs.gov/pub/irs-pdf/p969.pdf. Please keep in mind that your state might have different tax rules. Always refer to your state’s tax guidance regarding HRA taxation. We make it easy to access and use your account funds. There are two ways to pay for health care. Provide your card to a qualified merchant or provider, and they will swipe your card like any other credit or debit card to pay for your purchase. Pay using your own personal credit card, cash, or check and keep your itemized receipt as documentation. Then, log on to your online account to file for reimbursement and upload documentation. You can receive reimbursement funds via check or direct deposit. Tip: Set up direct deposit online to receive quicker reimbursements.